Since 1993, we’ve helped this dynamic social architect’s visions go from idea to reality, by listening, sketching, and creating from her ideas into materials that help others understand. 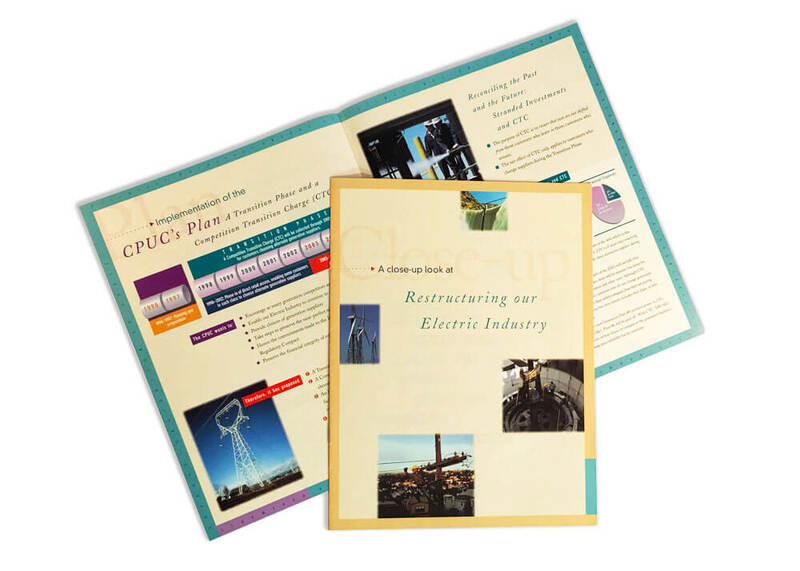 Always the vision addresses large, complex topics, from restructuring the electric utility industry, to creating the website interface for a new social. As a founder and professor at Dominican University’s Green MBA program, Jane has moved her ideas into the world for a higher purpose. Along with infographics, we created the look-and-feel for WindTunneling.com. As the company has grown, an international consulting practice developed, and we’ve supported the cause with branding and marketing materials. Even larger though, is the user experience and interface design for the mooc, TheFULCRUM. This involves the entire team of client(s), developer(s), and our staff to make a great learning journey! 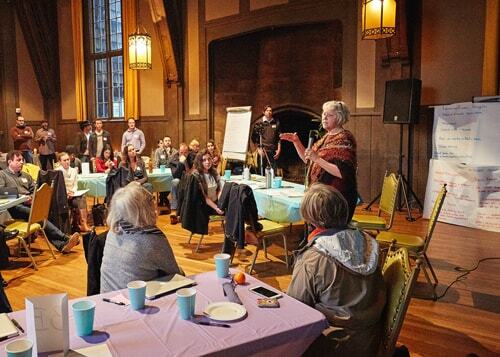 Working with Jane and the WELL Network (the convenor), we created the invitation, day-of workshop materials, and a 16-page post-event Knowledge Map that encapsulated the learnings of the 100-person group. 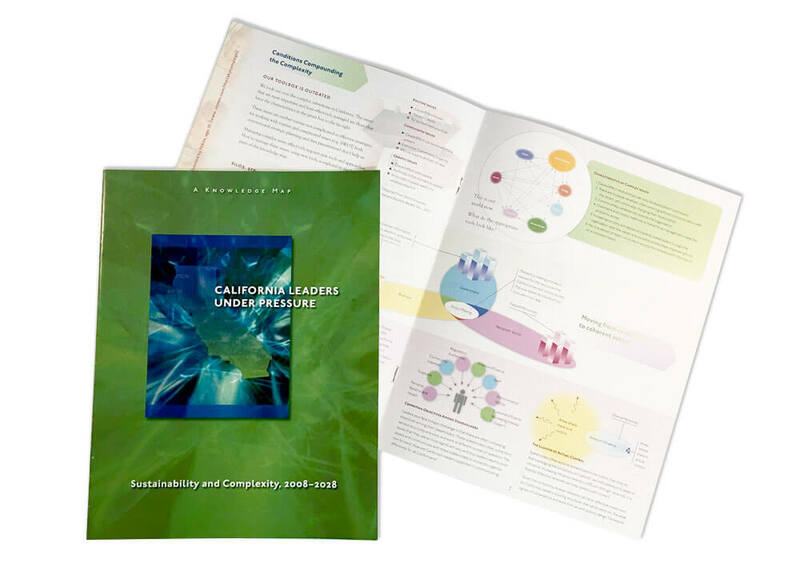 It is is filled with dense ideas, explained through infographics, and context for the readers to help them consider new ways of creating a more intentional, productive and connected future.